Using Distrubted Modular Gasification, an advanced thermal treatment technology developed by Powerhouse Energy, it will produce a local source of hydrogen from unrecyclable plastics. The company has said that the hydrogen could be used to initially power buses and heavy goods vehicles in the region, before being rolled-out to hydrogen cars, which will help to reduce air pollution and improve air quality. This £7 million plant will treat up to 25 tonnes of waste plastics a day that would otherwise go to landfill or be incinerated. It will be the first commercial scale project in the UK, with the technology being developed over several years at the University of Chester Energy Centre, which is next door to Protos. In addition to the production of decentralised hydrogen, the plant will also generate electricity, which could be supplied to businesses located at Protos through the private network. Waste2Tricity is currently in talks with suppliers of unrecyclable plastics across the region, including firms that could locate at the Protos site. The development would see 25 full time permanent jobs being created at the site and over 100 jobs being created in the North West during fabrication and construction. 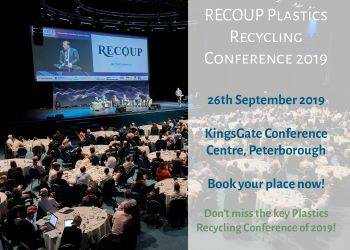 Peel Environmental managing director Myles Kitcher said: “We have a huge problem with waste plastic in the UK – almost 1.2 million tonnes goes to landfill every year. Working in partnership with Waste2Tricity we are developing a closed loop solution where plastics are brought to Protos and recycled on-site with the leftover material used to create hydrogen instead of ending up in landfill. This project really sums up what Protos is about – using innovative technologies to create value from waste, recover resources and provide low carbon energy sources which then can be used on site.